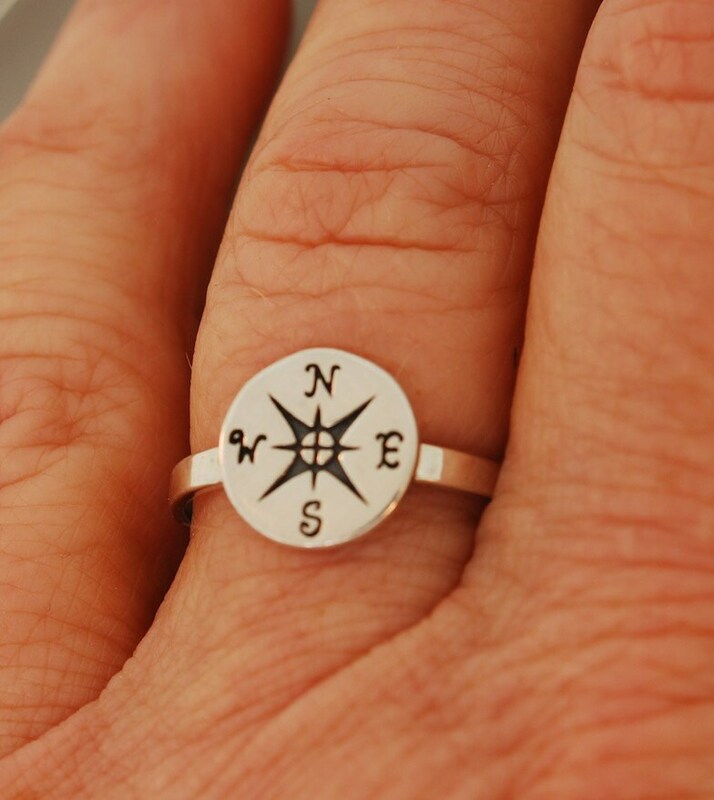 A beautiful compass such as this makes a gift that will be always remembered and worn. 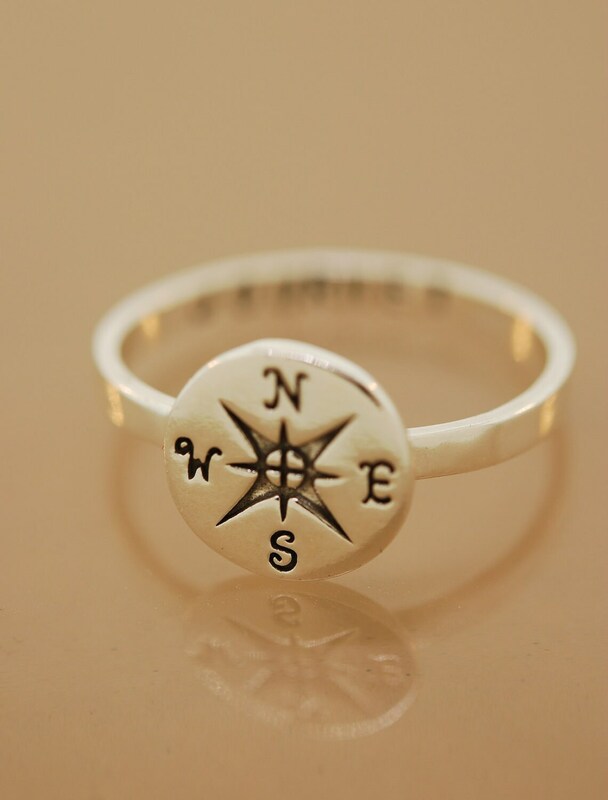 The compass is from an original mold and the details are stunning. 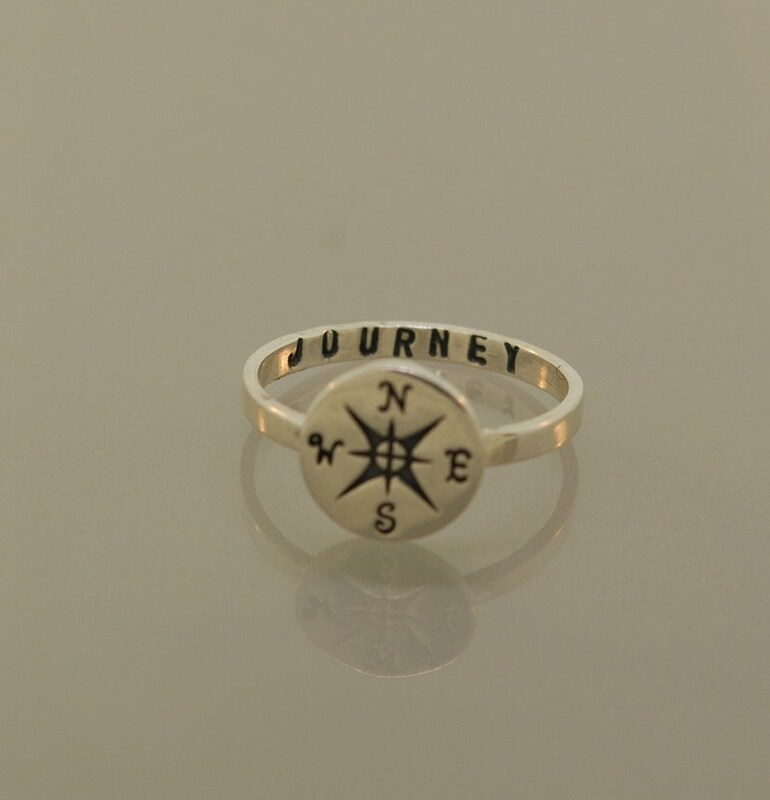 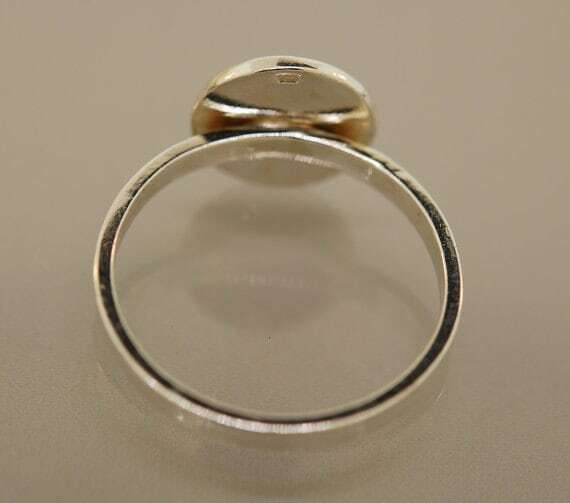 This compass ring is laser engraved with the word journey inside the band. 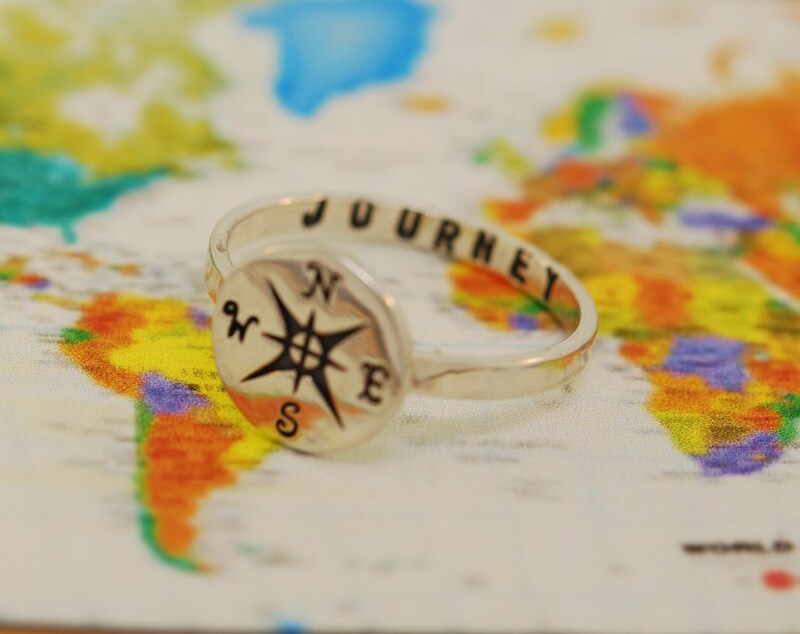 A perfect gift for the avid traveler or the graduate in your life.